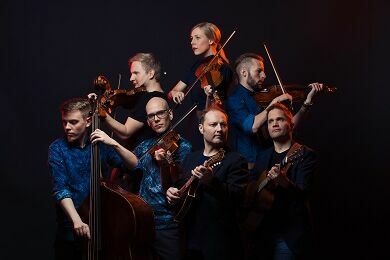 The University of Wisconsin-Eau Claire will host the award-winning Finnish folk group, Frigg, on Sunday, April 22, 7 p.m. as part of the university’s ongoing musical, scholarly and international programming. Frigg has been conquering the world with a fusion of western folk music styles leaning strongly towards Nordic folk music, for which the world music media has coined the term nordgrass, referring to the bluegrass influences of the group. The tight interplay of four violins, string instruments and contrabass, fine-tuned to perfection and spiced with sparkling, humorous live-energy has made an impact on listeners all over the world. https://frigg.fi/ The concert, which is free and open to the public is sponsored by UW-Eau Claire’s Council on Internationalization and Global Engagement. For more information, contact reedka@uwec.edu.